We have had a large number of “snow days” here in my neck of the woods lately. A typical winter storm here is usually no more than three inches at max; so having the sky rip open and dump two servings of nearly two feet each is unheard of. Needless to say, my state was declared a federal “disaster area”, and my work has been closed. What a better time to get some new material up for this very blog! Since I can’t leave the house at all, I was browsing Hulu’s “BBC” section and noticed something I had not heard of tucked away that could be useful for this blog. 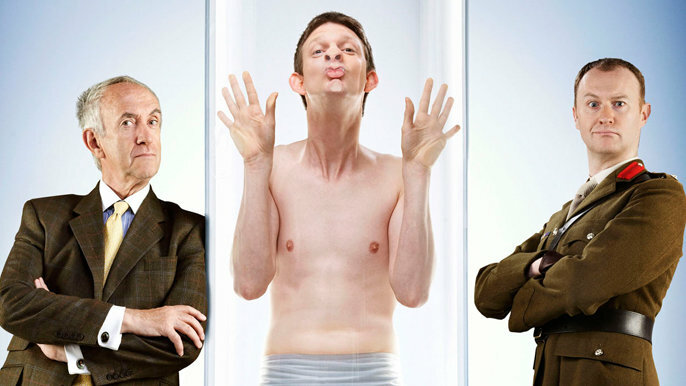 The show in question is a 2008 BBC3 production starring Jonathan Pryce, Mark Gatiss, Fiona Glascott, Oliver Maltman and Stuart Mcloughlin as the titular character – Clone. Clone is the story of a secretive Army program to create a bloodthirsty killing machine for use in war. Since this is a comedy show with a science fiction lean and not a Universal Soldier film, one can immediately guess that this test went horribly wrong rendering the clone about as menacing as a kitten playing with a ball of yarn. 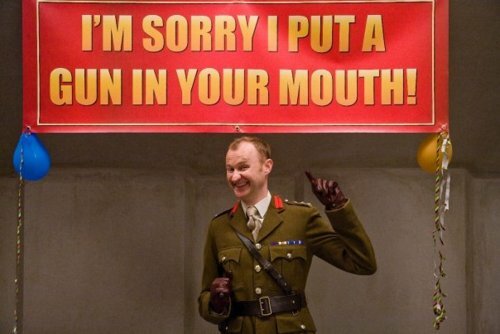 Mark Gatiss (of Sherlock and League of Gentlemen fame) plays Colonel Black, a seemingly crazy and borderline psychopathic man put in charge of MI7, and ultimately the clone program as a whole. When the clone, Albert, is “born” his scientist “father” Dr. Victor Blenkinsop (as played by Brazil and Pirates of the Caribbean’s Jonathan Pryce) has his reputation shattered, and takes Albert away to a small village to protect him and hopefully “fix” his warrior programming. 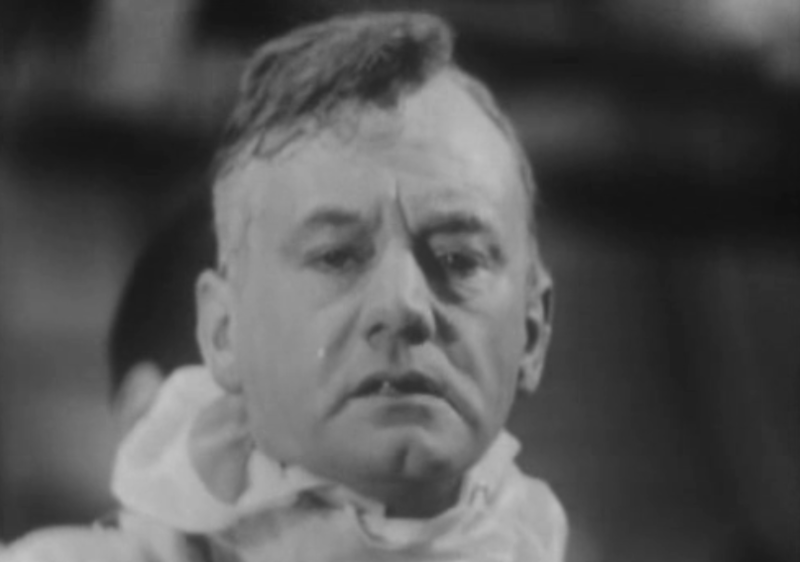 It seems Col. Black wants Albert dead and any involved in the failed experiment reprimanded. The duo spend their time hiding in a tiny pub and attempting to convince a math genius (Rose, as played by Fiona Glascott) to help them out. With the all-star cast involved, one would imagine that Clone would have been a runaway smash hit of epic proportions. Sadly, while not terrible, the show does have some noticeable problems and only ran a paltry six episodes. The show itself was created in the midst of a rebranding of sorts within BBC3, a venture where big-wigs there decided to start targeting a younger demographic than it normally does. All of the actors involved are pretty good, and aside from some superior league scenery chewing by Mark Gatiss, most play things pretty well. I’m not digging on Gatiss, but the way he portrays Colonel Black is reminiscent of Doctor Evil from the Austin Powers films. A character as such would be brilliant in a skit comedy, but here it’s a bit silly. 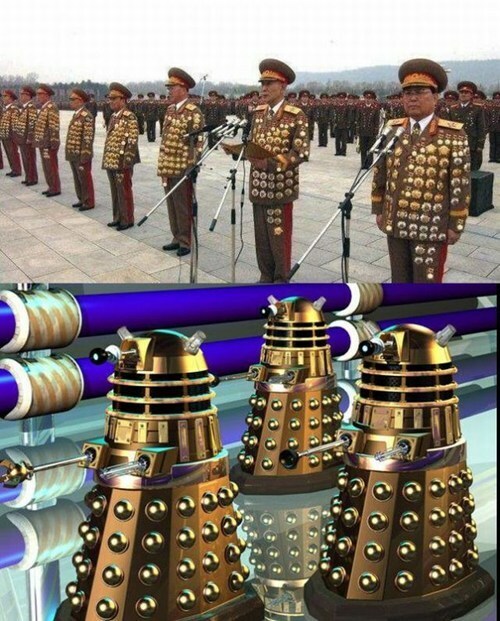 Equally over-the-top is Albert the clone. Just about everything he does is a situation of not understanding human conventions and culture, but not in a subtle way like other “fish out of water” comedies. One notable early scene shows Albert urinating all over a desert table full of éclairs and danishes, you know classy highbrow humor. I think that is the real problem with this show is who it is targeting. On one hand it is written in such a way that it reminds me of another quirky BBC comedy called My Hero. That show was a story of an alien that came to Earth and became a superhero despite his complete inability to understand humans. Like Mork and Mindy, My Hero dealt with the adult relationships this alien obtained and how he became more human. 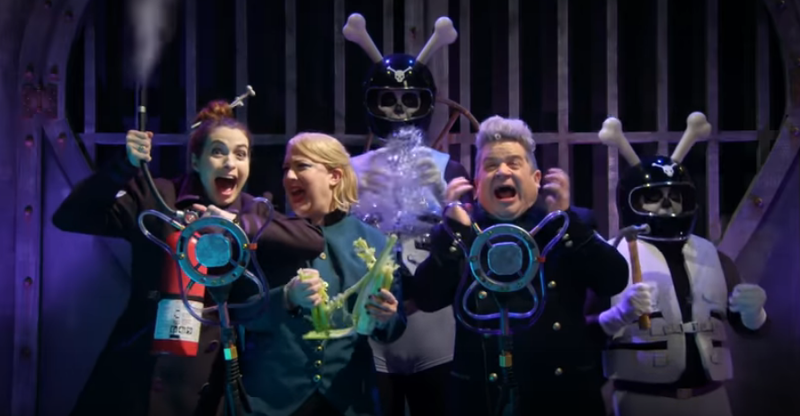 Sadly Clone seems to not be written for adults at all, and had it not been for a bit of adult humor within, I would assume this was a kid’s show. 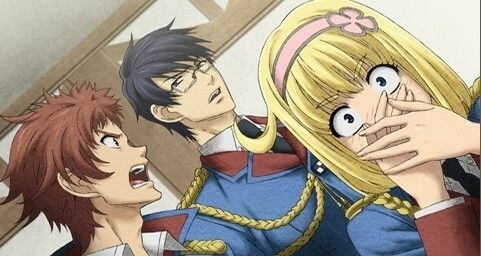 It bounces from situation to situation where Albert does something shocking like staring into someone’s window while they are intimate with no clothes on, then him getting scolded about it. It’s like a raunchy version of Curious George. This identity crisis within the script keeps it hard to pin down and ultimately keeps it as nothing more than low budget filler television. All in all, Clone is fine if you have some free time and want a humorous show to waste some time on. Stuart Mcloughlin is a good comedy clown, and would work really well in similar shows. Sadly the rest of the cast is severely underutilized and seemingly out of place to the point where you may wonder why an actor such as Pryce, or even Gatiss for that matter, bothered with such a show. I didn’t hate Clone, but I can see the spark it holds, the potential to be great show that was ultimately wasted for an audience that probably wouldn’t even like the show. At the end of episode one, our recurring question of “Who is Jessica Hyde?” seemed to finally be more clear, but we don’t get to that right away. Episode two of Utopia starts in the same shocking fashion as the previous episode. Just in case we all forgot the crux of all the show’s intrigue, a sought after manuscript for a second volume of an infamous graphic novel called the “Utopia Experiments” makes another appearance. If you recall, the book was written by a man who supposedly not only predicted the future, but went crazy and killed himself because of the first volume. Could it be a coincidence, or is the group of assassins seeking the book a dead giveaway that the pages of loose paper are more than they seem? This time we see a man looking at a hidden copy he has stored in his cellar, away from the prying eyes of a nondescript vagrant rummaging through trash nearby. After pulling up boards from a secret walled stash, the man wraps his find, places it in a post box, and nonchalantly jumps in from of a large truck on a highway. One of my biggest unanswered questions from episode one was the relationship between the health civil servant storyline and the graphic novel. I assumed we would have to wait weeks to find this out, but luckily this was explained (somewhat) within the first ten minutes. It seems that an organization was created in the 1970’s to stop bio-terrorism from the Soviet Union. Dubbed “The Network”, this organization answered to no nation and was left to get their job done by any means necessary. 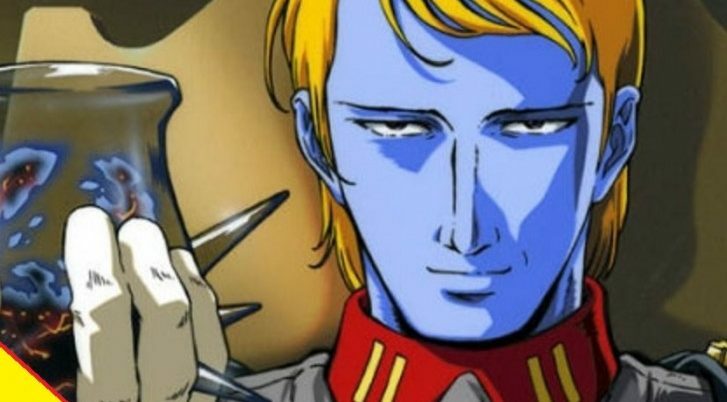 We can surmise that the graphic novel somehow predicted something to do with the network since we learn of the author’s connections to the organization. In the previous episode, we also found out that Becky’s dad died of a manmade disease called DEALS and the genetic code for DEALS was imprinted into the pages of the book. We find out that the two unconventional assassins that have followed around the main characters are in some way associated with “The Network” – we finally have a sliver of a clue what the over-all plot of this story is! The cinematography is strong in this episode as well as the first, and even the small touches like a yellow camera filter used on most outdoor scenes, gives the show an otherworldly, almost unsettling, feeling. The saturation doesn’t make the show look purposefully old, like some other productions try to do with yellow filters, but it makes grass greener than normal, the sky brighter, and anything yellow REALLY stand out. I’m not sure if this is just a nod to the fact that the show’s logo is a simple yellow title card, or if there is some other meaning hiding in the background. General color theory holds that yellow is the color of sunshine. It’s associated with joy, happiness, intellect, and energy. This seems in stark contrast with the themes of the show other than the name “Utopia”, so I guess we’ll have to wait and see. The inclusion of Fiona O’Shaughnessy as Jessica Hyde is a welcome addition to the cast as her robotic, distant, and unfeeling nature really helps to offset the eccentricities of the rest of the cast. She’s like a cross between La Femme Nikita and Linda Hamilton’s character from Terminator. You can tell that she’s been out there running from “The Network” for years and has become a master manipulator in the race to stay alive. She hardened, has little empathy, and trusts few people. Her character has a mysterious past we learn a little about involving her father’s position in all of this. You see, Jessica’s father was originally named Philip Carvel – the man who originally helped start “The Network”. Carvel ended up in a psychiatric ward where he was given a new name – Mark Deyn – and started drawing as part of his art therapy. I bet you can see where this is headed: Deyn was the man who created “The Utopia Expiriments”! Episode two of Utopia seems to have all the answers, but I wonder if we can take the Wilson Wilson view in all of this: This all seems well and good, but what if the whole thing isn’t this simple, I bet this is merely a cover for the real conspiracy within. Aside from that, they did tease us with another whopper of a question – Who does Becky work for? She’s been at odds with Jessica since day one, and for the most of the program I assumed it was just catty girls being catty girls as usual. Towards the end of the episode we see her slip into a payphone and inform someone that she has Grant and he knows where the manuscript is…..dum….dum…DUM! Recently, one would have a hard time making it through the day without hearing about government corruption and conspiracies by officials on every news outlet, social media site, and from people you know. 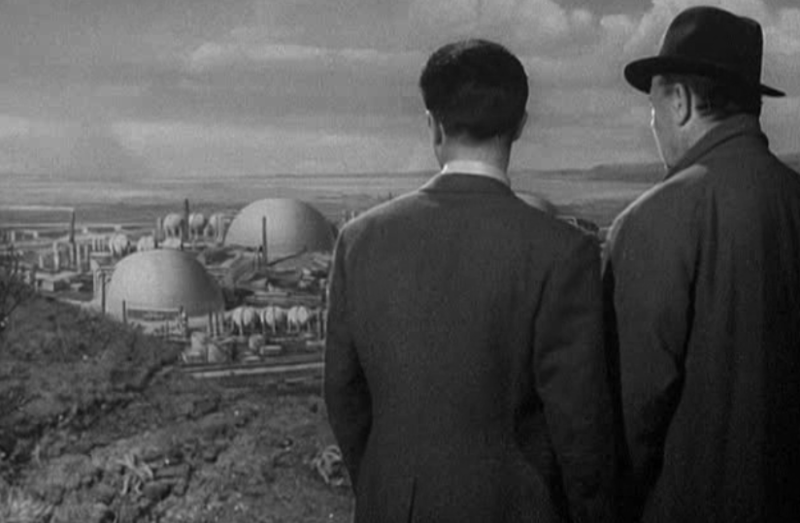 Whether it be the gun control debate in America or the media regulation debate in the U.K. it seems we live in a time with just as much paranoia and uncertainty as the 1950’s that Nigel Kneale was writing all these great science fiction stories in. 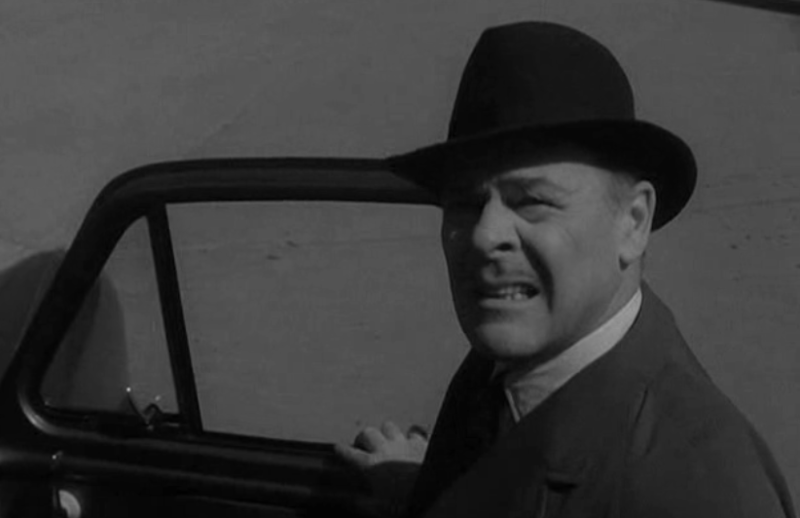 Quatermass II comes directly from this mindset, as Kneale was dealing with these issues himself. Rather than using a blatant allegory for the cold war or the red scare, as many American productions were doing, Kneale went for an allegory on the overstepping of Bureaucracy in government, government cover-ups, and government secrecy. According to Wikipedia, a lot of this came from his own problems with having to sign a binding document called The Official Secrets Act, due to being a BBC employee, and longstanding paranoia with “secret” military bases in the media. 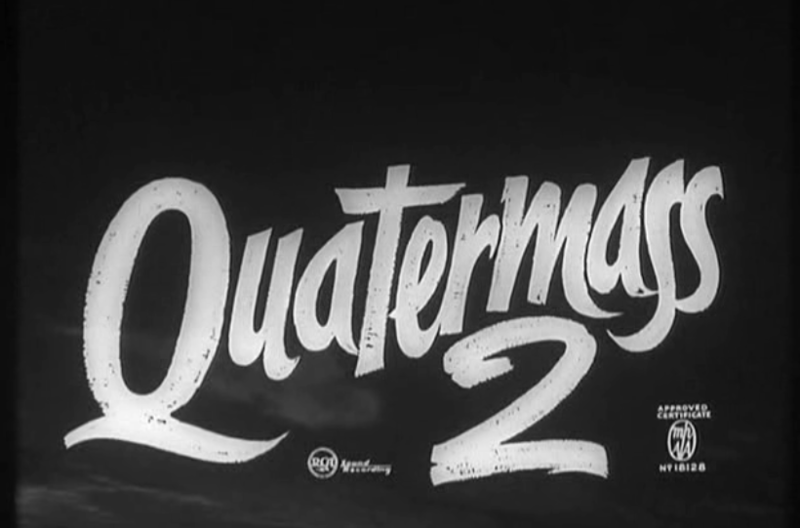 The story in Quatermass II follows the titular character trying to figure out why a small town in the countryside was wiped off the earth to make way for a super-secret government facility. 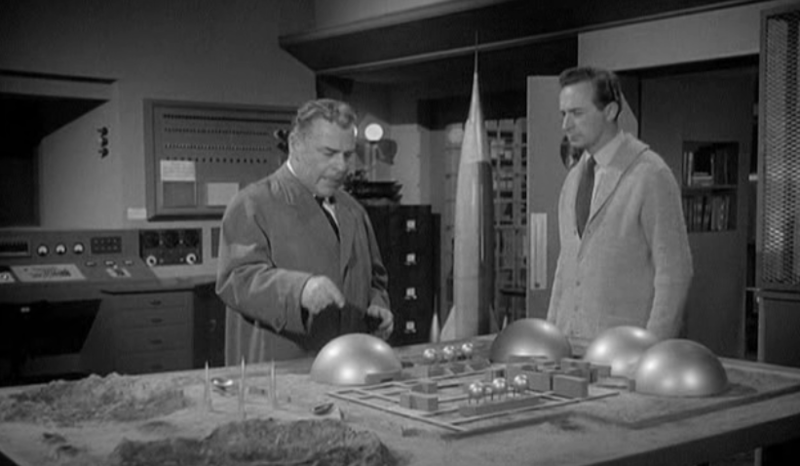 Not to mention that said facility looks suspiciously like a model of a moon base he has on his desk. 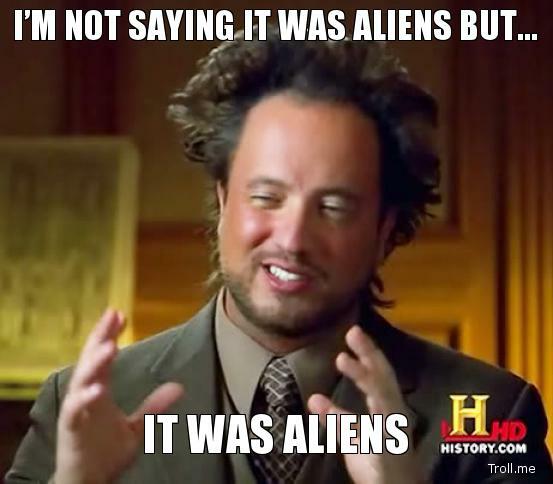 Of course the story isn’t that simple, as the whole thing revolves around an alien invasion, a conspiracy to the uppermost seats of government, and a rag-tag group of scientists and civil servants trying to stop it. 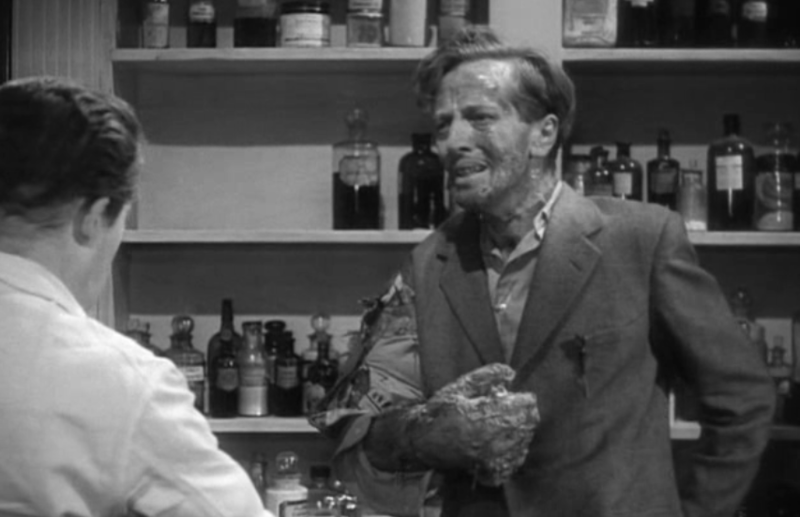 By this time Bernard Quatermass is a bit more abrasive, even hardened from what he had to deal with years before. This is compounded by the failure of a nuclear rocket test he oversaw that killed hundreds, possibly wiping all his funding and putting him directly responsible for the disaster. I like to think Kneale changed the character on purpose to show character growth, but one could chalk this up to the fact that the character had to be recast right before production. This happened because Reginald Tate sadly died suddenly right before location shooting was to commence, and John Robinson was cast on very short notice. I actually really like Robinson in this role; he seems moody at times, but has a heroic tendency that makes him very likeable. You can tell that since he had to deal with an extra-terrestrial threat that could have eliminated life on Earth; he feels that he has special knowledge and duty to deal with these sorts of problems. 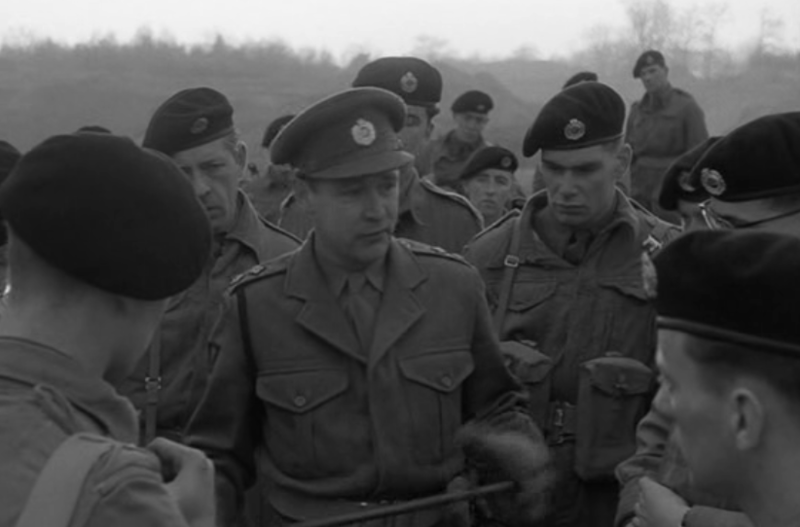 A special nod should also go to the supporting cast, especially Hugh Griffith as Quatermass’s right hand man Dr. Leo Pugh. 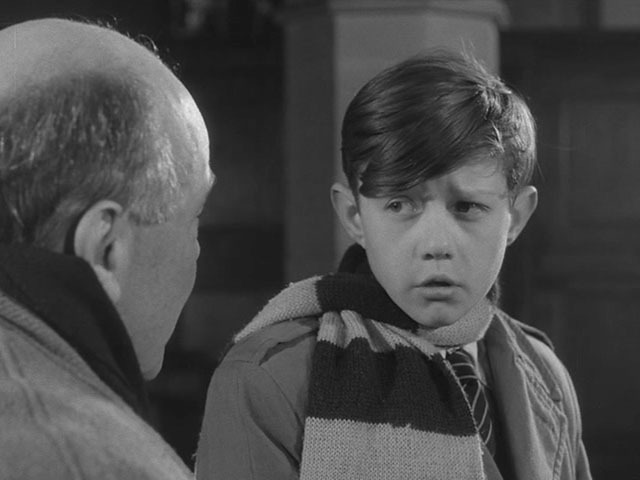 Pugh is a great addition to the cast simply because he seems to be everything that Quatermass isn’t. He’s likeable, has a welsh accent, and comes across as something of an absent minded mathematician. 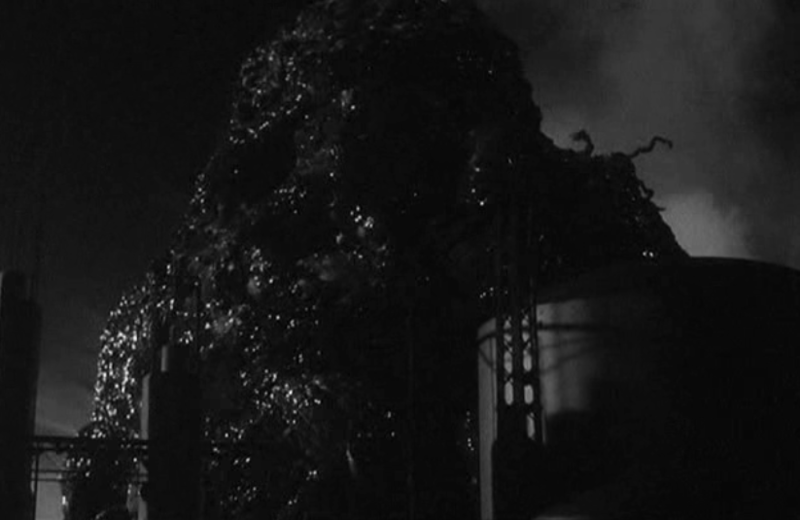 Quatermass II is far more enjoyable for me than its predecessor for many reasons. First of all, the budget has been ramped up pretty drastically considering the production has quite a bit of location shooting inter-spliced with the live footage. This not only makes the plot move faster, as the cast isn’t confined to one or two rooms for an entire episode, but it gives the production less of a “stage play” vibe. The cinematography also seems to be stepped up a lot with a lot of artistic shots making this play look a lot more “epic” than it is. This means no more static ten minute scenes of two people talking by a prop; we might get a panning shot or two! 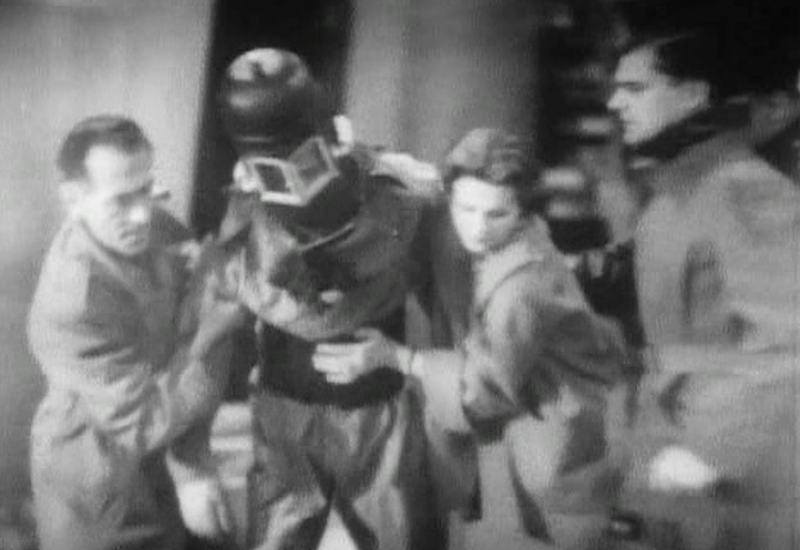 One of the first shots of Quatermass happens right after a soldier states that “he knows a guy named Quatermass”, to which his fellow soldier asks “The rocket man?” seconds later, we are treated to a nice zoomed in shot of a person scanning the front of a rocket with some device wearing a clean suit and gas mask. He steps down, removes the mask, and reveals the hero of the play. Improvements aside, the main reason I really like this production is that it is ALL intact; in fact this is the oldest complete BBC science fiction production on record! The only downside in these episodes is that the final act of the drama suffers from the same fate that many BBC science fiction productions would later be known for: a plot that is far too ambitious for its own good. 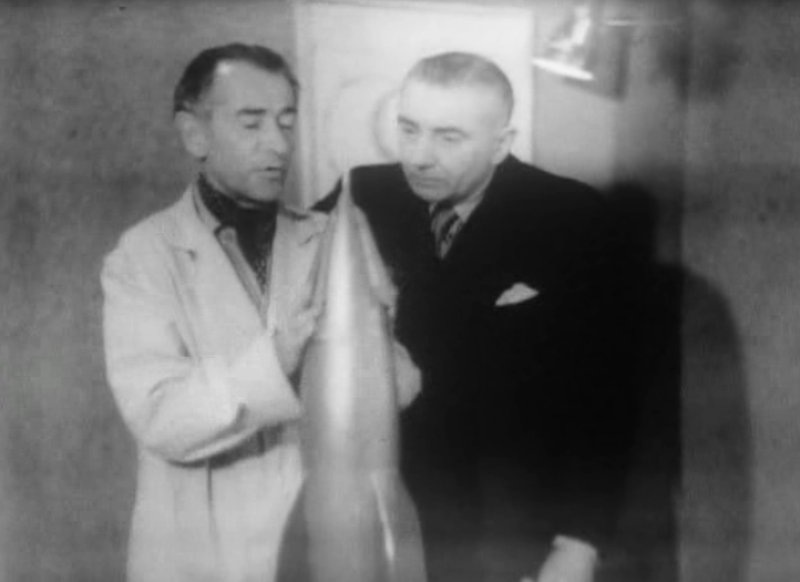 When it seems the bleakest, Quatermass and Pugh decide to rig up the only remaining nuclear rocket and fly to the impending alien threat. This entire segment got away from the production crew a bit and comes off a lot sillier than it really should have been due to budgetary considerations and technical limitations. All in all the whole production is STILL really good, despite this. 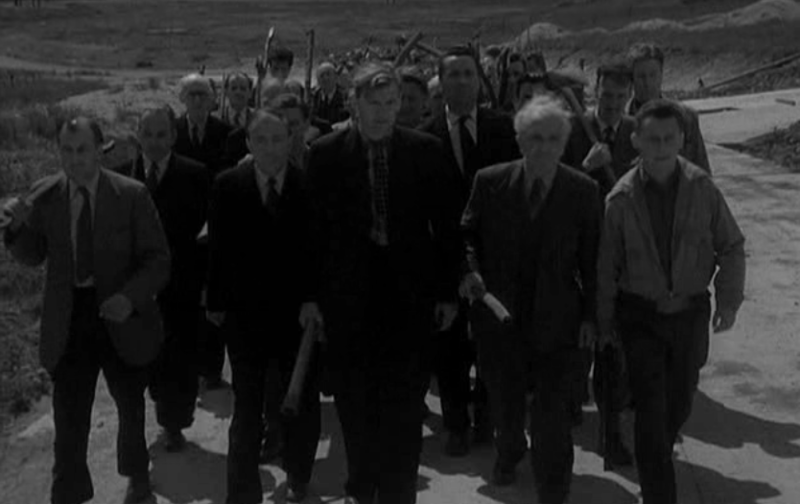 I actually enjoyed Quatermass II more than the first serial and the first Hammer Films production. The plot was not only more ambitious, but was a feast for the eyes in comparison to part one. 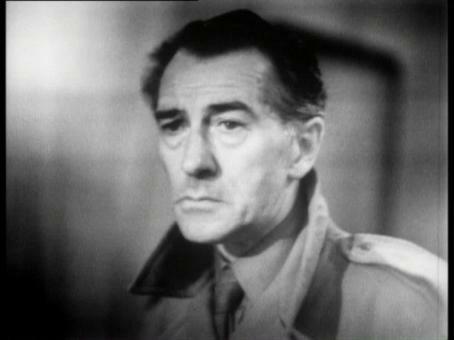 John Robinson is a great choice for Quatermass despite his quick casting, and I’m sad to see that this was the only serial he did under the umbrella – he was unavailable for future incarnations. 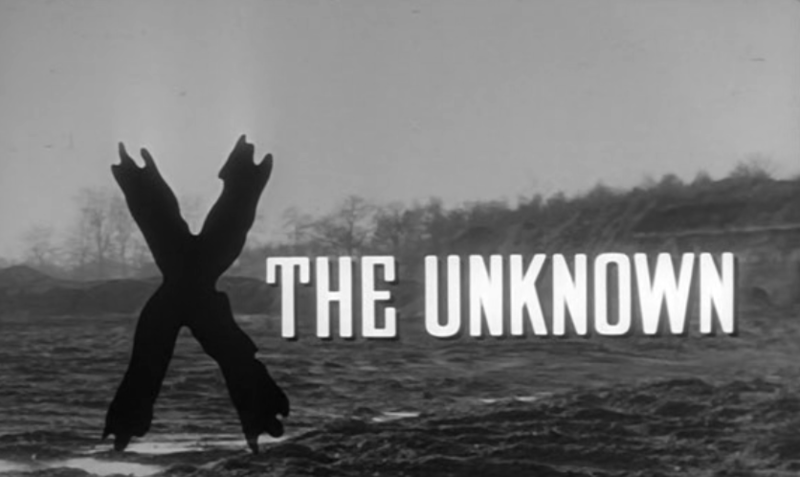 All in all, I would almost recommend this serial to anyone wanting to get into the character over the other material I’ve seen, as it really captures the essence of everything, granted I’m watching these in order and Quatermass and the Pit might blow me away. 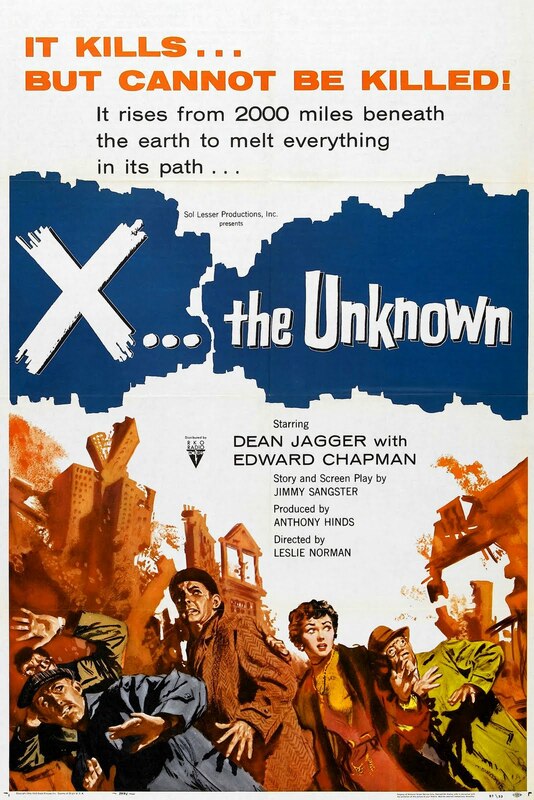 Next up here on Quatermass Week, I’ll be taking a look at the Hammer Films version of this very drama. Will I like it as much? Check back to find out!! Lately I’ve been mostly concentrating on extremely recent science fiction to talk about and write reviews for, but not this week. This week, we will be looking at the Grand Daddy of ALL British science fiction on Television, the program that started it all a DECADE before Doctor Who. 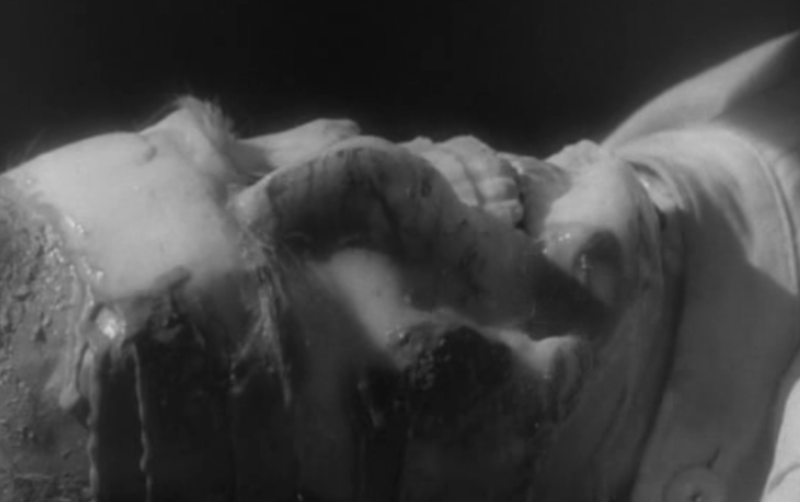 Of course I am speaking of Nigel Kneale’s Quatermass Experiment. It’s a while before we really kick into the Doctor Who 50th anniversary celebrations, but the seemingly forgotten SIXTIETH ANNIVERSARY of Quatermass is even closer, July to be precise. 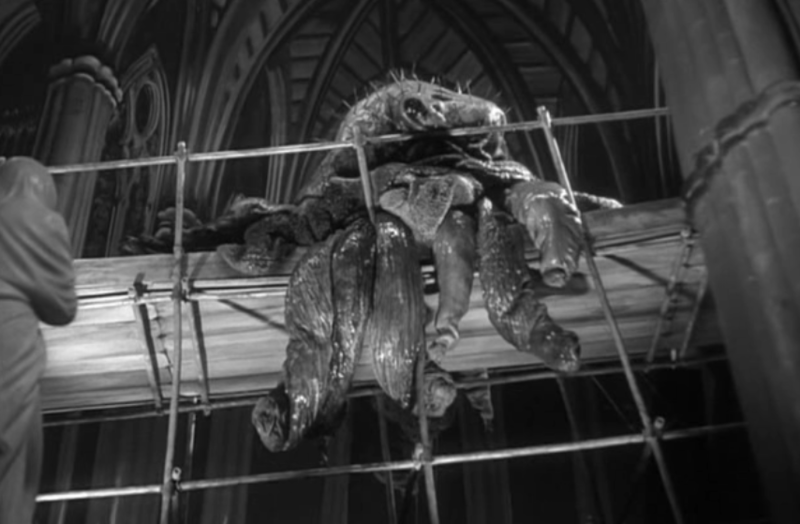 So, in order to kick off “Quatermass Week” on this blog, let’s talk about parts 1 and two of the 1953 serial The Quatermass Experiment. 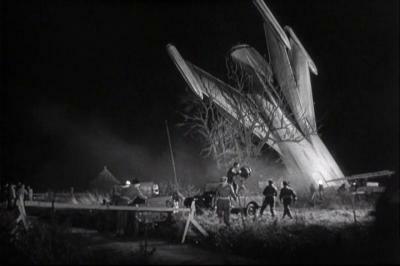 Originally shown in six parts, The Quatermass Experiment is a miracle of pure luck. I won’t write about any of the BBC’s pre-1980’s archival practices as I could do an entire article solely on that subject; many have written books on it to be precise. 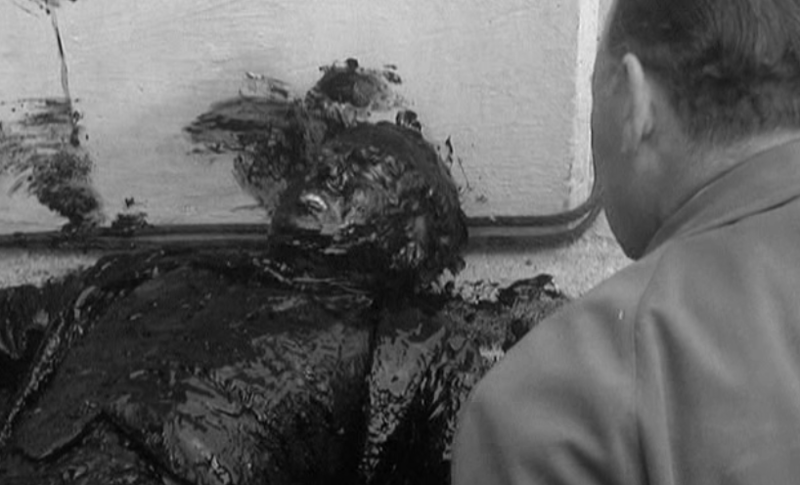 But I will point out that Quatermass is a victim of the worst idea the BBC ever had just like Doctor Who. We are truly lucky to have any of the episodes remaining at all, much less two of them. This was the infancy of TV, and things like home video were laughable to BBC executives at the time; in fact the show itself was broadcast live, making things like preservation a lot harder. 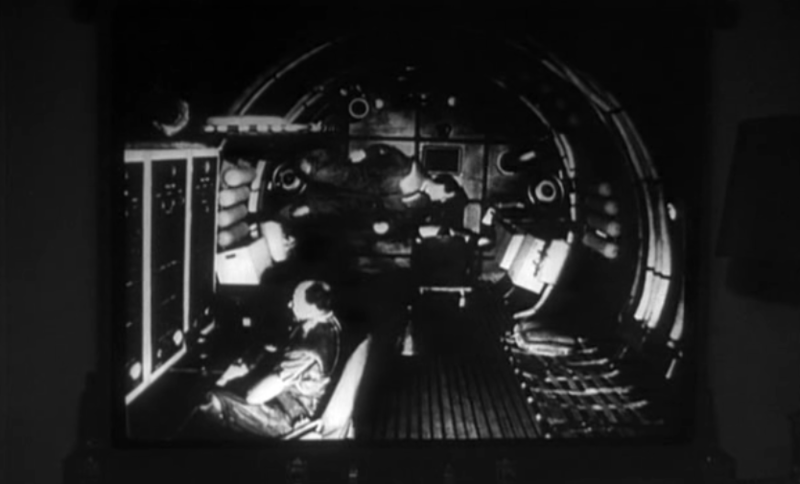 There was an effort to record the footage directly from a monitor showing the live broadcast, but the results were quite poor, even a fly on the lens can famously be seen throughout a large portion of episode two! I have been unable to obtain the DVD collection that the Doctor Who restoration team worked on; a set that seems awesome based on stills I’ve come across. I, sadly, had to find this on a popular video streaming site, and deal with visuals that I assume came from a VHS tape. While perfectly watchable, the version I watched was noticeably blurry in places and suffered from all the maladies that one would imagine having come from a camera recording off of a TV screen. One thing that really sticks out to me with this storyline is its realism. Many science fiction stories of this time were largely of the space opera variety. By that I don’t mean the modern sense of that genre, but the sort that lead to the genre being almost a pejorative term until the 1970’s. Keep in mind that this was done a few years before Sputnik ever launched, and there honestly isn’t much futurist shenanigans to see. No Ray-guns, no winged helmets, no dashing hero on Mars, just realistic hard-science fiction. 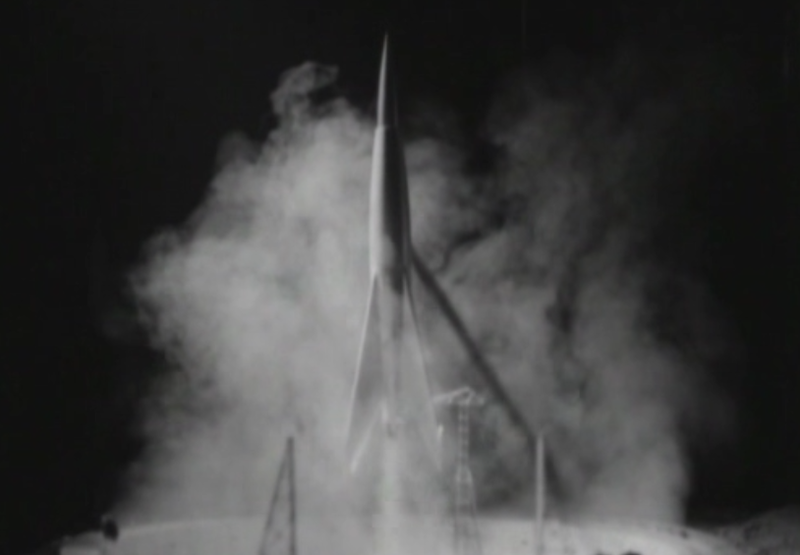 Aside from the shape of the rocket being rather silly, one would assume that this show was made during the “space race”. 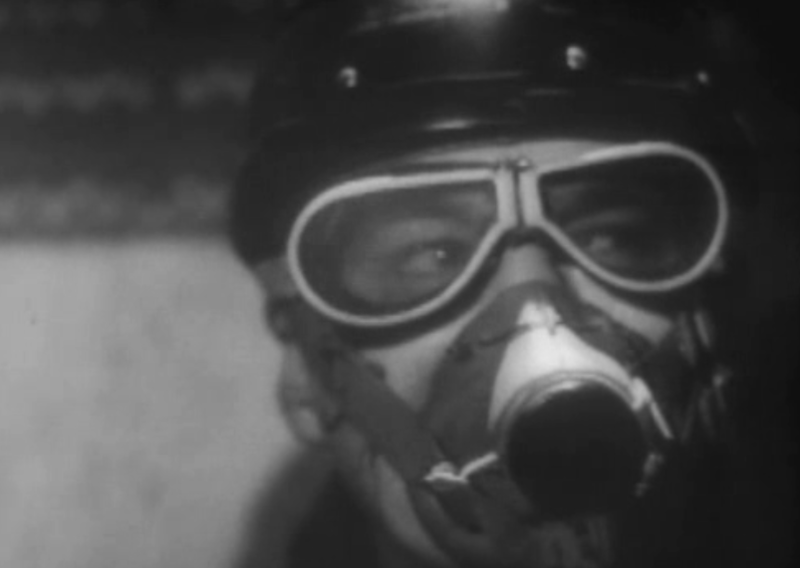 Quatermass is another of those great “smart heroes” that persist in UK genre fiction. Rather than being a dashing hulking action hero, Quatermass is a no-nonsense man that seems to know more than everyone around him. Reginald Tate does a fine job of portraying Bernard, and it’s sad that he only did one serial as him. 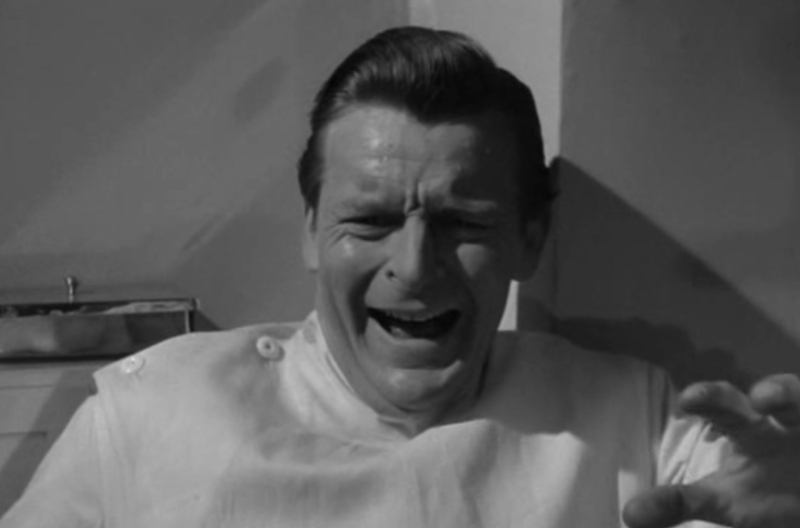 He sadly passed away before Quatermass II was set to film. People today aren’t really used to seeing the heroic scientist archetype in action outside of video games (Half-life for instance) which is a shame. It was a trope that persisted in much of early science fiction, but was pushed to the side by the John Carter character model. 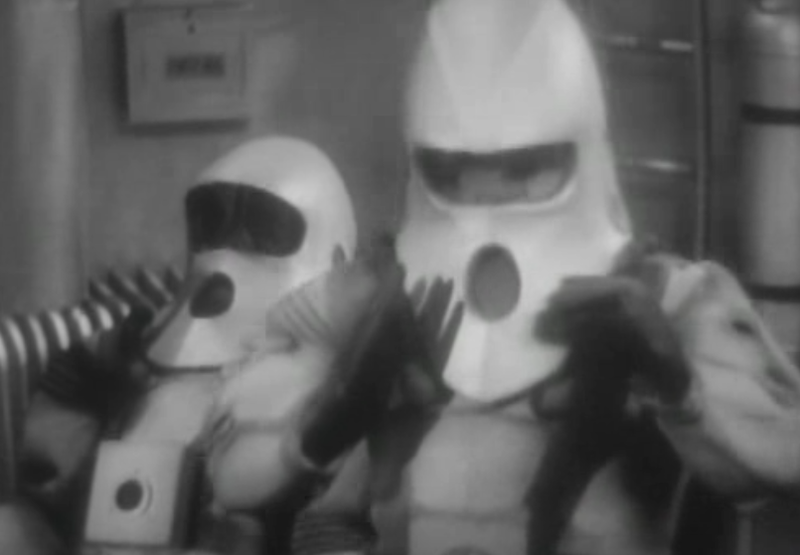 The closest thing I can relate to Quatermass is older iterations of “The Doctor” from Doctor Who. 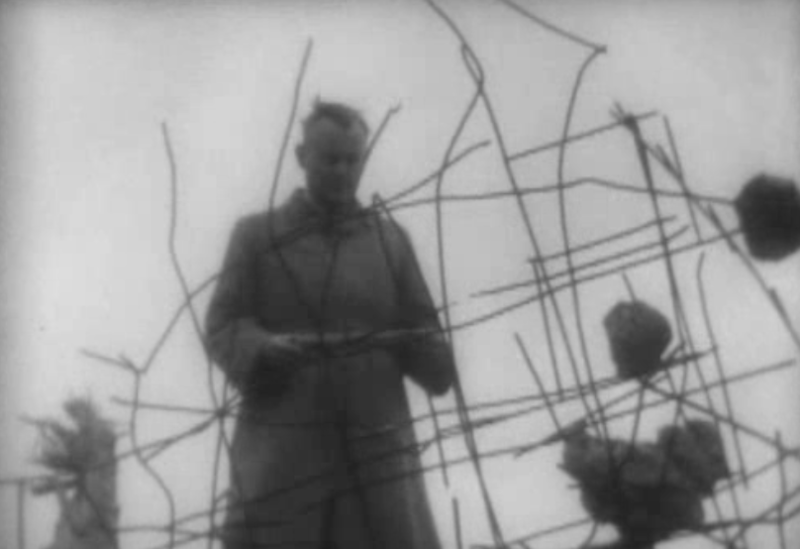 In fact, Nigel Kneale was not a fan of the show because he felt it ripped off Quatermass. 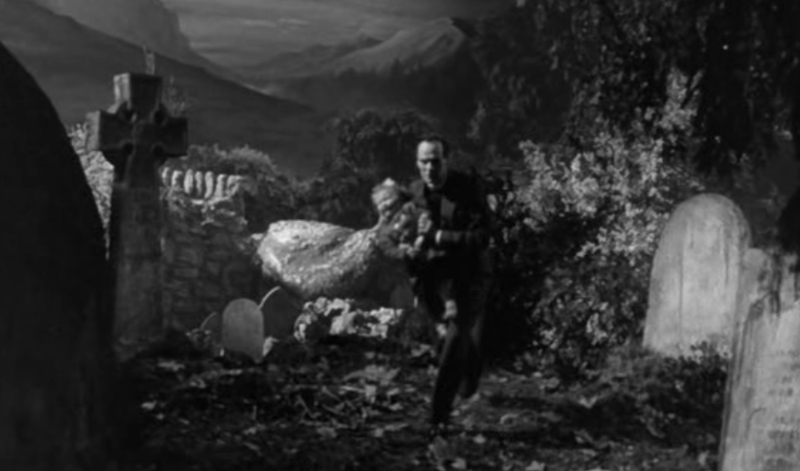 While the ending doesn’t exist on this serial, I do plan to watch the other versions of this drama (the 1955 Hammer film and the 2005 remake) to see the final conflict between Quatermass and the creature. I know they duke it out, but I’m not sure how everything leads up to that. So there we have it, the original British science fiction hero! 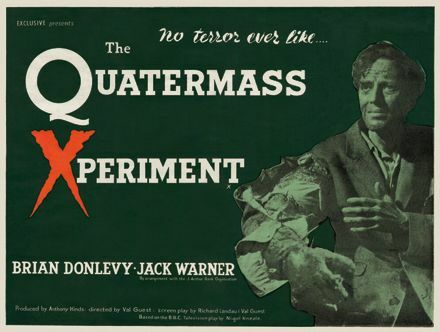 Not only did The Quatermass Experiment show that adults could enjoy science fiction stories just as much as kids, but it laid the way for sixty years of British science fiction afterwards. 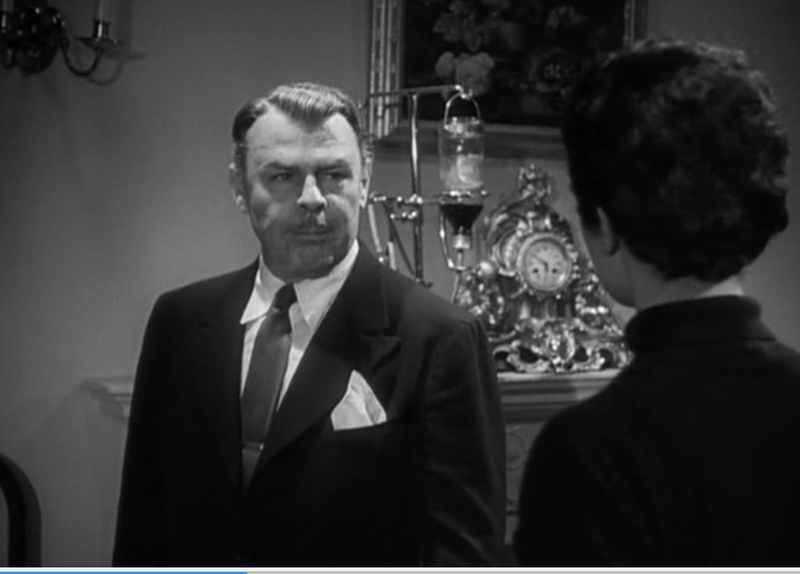 If you watch any serious science fiction drama such as A for Andromeda or Day of the Triffids, you can see little hints of Kneale’s masterpiece. Whether it be the dark nature of the play, or the completely realistic way in which it is told, I think this drama holds up to today’s standards (much like most old TV, as opposed to old movies) and everyone should check it out. In America, we sadly can only get the Hammer films of the series and the later 1970’s serial, but one can import the Quatermass Collection set from England, just consult my handy guide on region-free DVD players on tips to do that. As I stated, I found this serial “by other means”. 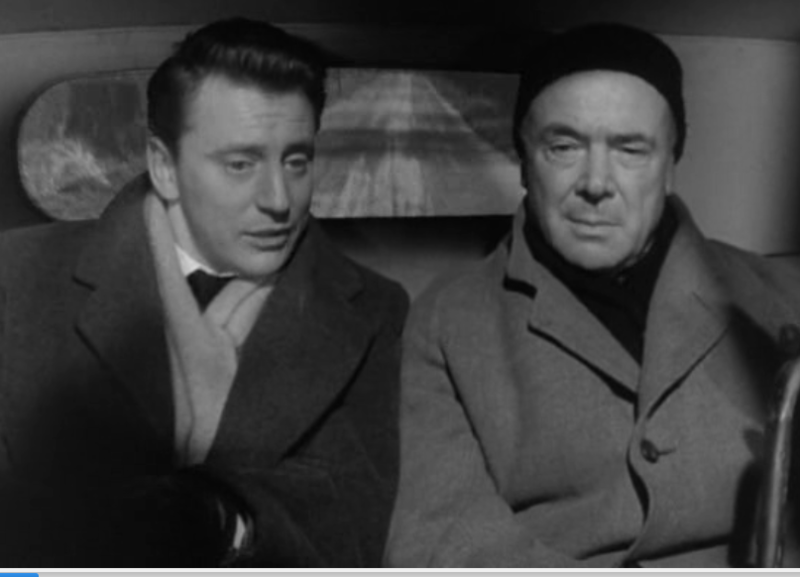 Some of these older serials, Like Quatermass II, are in the public domain, so they can easily be found on video sharing sites, so us Yankees aren’t completely in the dark.